Holcombe Textiles is pleased to announce the launch of its new specialist seating range to the Care Sector. Along with its partner company Your Mobility www.yourmobility.eu , Holcombe Textiles has added to its existing range of Care Sector targetted textiles by linking up with Your Mobility to offer a comprehensive range of specialist seating for adults with varying degrees of physical need. Our specialist chairs have been designed to combine function and practicality with superb comfort, day-long support and aesthetic appeal. The extensive portfolio of specailist seating has the ability to provide the seating solutions to the majority of seating challenges within the care home environment. More and more nursing staff are realizing the benefits of our chairs and are actively promoting the use of our range to management and relations of those in the home as they will help improve posture, pressure relief, and the quality of life of those that use them. For further information or to arrange a visit to assess your specialist seating requirements, please feel free to visit our website www.holcombetextileservices.co.uk at look for the specialist chair section on the drop down product finder. Our trained seating advisors are available to visit your location across the UK to assess individual seating needs and also support ongoing staff training. Holcombe Textiles has re launched the very popular logo printed dust control mats. Now with over 50 colours to choose from we can succesfully replicate your logo, images or message onto a durable nitrile rubber backed mat with hard wearing Nylon carpet tufts. We can offer electronic ‘Proofs’ which are normally back with the client within 24 hours and once approved print your mats within 10 days. Contract Linens – Try something new. Are you completely happy with the service you are receiving from your contract linen / textile services supplier? Are the textiles of the finest and most durable quality, is the service attentive, friendly and fast, and are the prices competitive? If all the above boxes are not ticked – give Holcombe Textile Services a call on 0800 234 6686 – and you will not look back. At Holcombe Textile services, we have extensive experience in providing contract linen to UK care homes and hospices and within the hotel and leisure industry. Although our specialty is contract textiles for care homes, hospices & hotels, we offer the same high quality textile services within a wide range of industries including hair salons, beauty spa’s, tanning shops, clinics, schools & colleges, health clubs, golf clubs, cricket clubs and other sports clubs, breweries, restaurants, charities and more. From our base in Lancashire we are able to provide contract linen & other textile services to clients anywhere within the UK , and we pride ourselves on proving a very high quality efficient service, the most durable high quality textiles, and very competitive prices. We supply contract linen within a wide range of product areas including contract towels (including bleach resistant salon towels), fire resistant curtains, contract bed linen, pillows (including wipeable pillows), duvets, mattress protection, uniforms and corporate clothing, clothing protectors, full embroidery service, logo and promotional floor mats and door mats. We also supply promotional gifts, printed cushions and framed canvas prints. For more information, browse through the categories of the Holcome Textiles Services website, and contact us by using the online contact form: or by telephone on 0800 234 6686. Holcome Textiles Services supply high quality contract towels within a wide range of industries including care homes and hospices, hair & beauty salons and spa’s, hotels & restaurants, sports & leisure clubs. Our towels are made specifically for the contract market, and are therefore designed to be extremely durable, while also being soft and absorbent. We have a deep understanding of the requirements of our clients, and we know that our clients expect fine quality, soft & absorbent towels which are durable, at a competitive price & with fast & friendly services which is second to none – and that is what we deliver. Our 500g contract towels are quality Turkish towels made from 100% cotton. 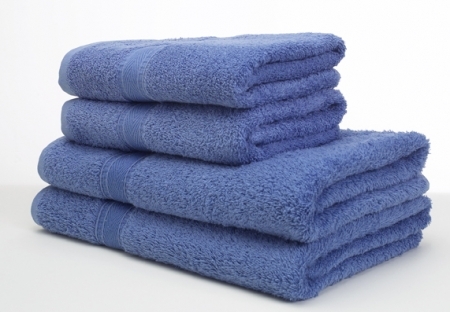 These towels are renowned for their softness, absorbency and durability. Available in an impressive range of shades. Our laundry towels are a high quality budget towel specifically created for the contract / laundry market. 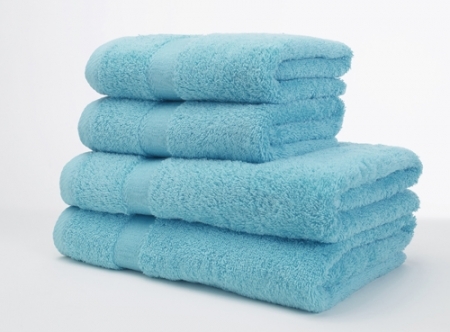 These luxury towels are the ultimate in softness and comfort. 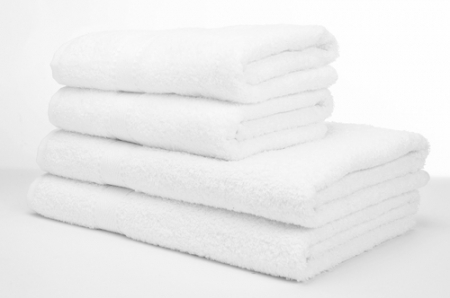 At 600g/m², and being made of luxury combed cotton, these towels are particularly popular within the leisure & hotel industry, for those businesses which must pay attention to detail to ensure every part of the guests or members experience is infused with quality and comfort. 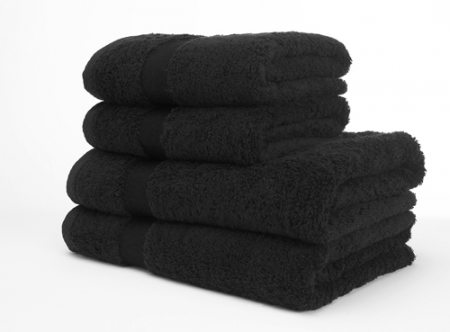 Our bleach resistant towels are black towels which stay black, and are designed for hair salons to prevent the discolouring of salon towels by the chemicals present in hair colouring and bleaching products. Our embroidered logo towels are an exclusive range of Luxury 100% Cotton Turkish towels, designed specifically for the Hotel and Care Home markets, enhanced by the addition of your company name or logo. While the majority of our hotel, care home & hospice clients prefer these towels in white, they are also available in a range of pastel shades. Holcome Textiles Services supply a wide range of textile services and contract linen, including bedding, and one of our popular products is the bedding pack, which is particularly popular for students, and which include all of the essential bedding items, including fitted sheet, duvet & duvet cover, pillow & pillowcase. You can on our website via the bedding packs page, or by telephone on 0800 234 6686. 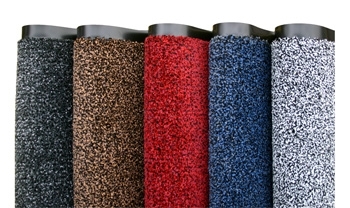 At Holcombe Textiles Services , we offer a wide range of high quality textile services, including floor mats / door mats. Entrance floor mats / door mats are a necessity for most businesses – for health and safety purposes, and also to reduce the requirement for continual floor cleaning. The standard option for entrance floor mats is generic / neutral mats which purely perform the required functions of removing dirt & moisture from the footwear of staff and visitors / customers, and preventing floors from being soiled, and more importantly preventing slipping on hard flooring. We provide a range of high quality and low cost floor mats of this nature, which do the job extremely well, and are incredibly durable. However, we also supply promotional logo floor mats, which perform all of the necessary functions required of an entrance mat, while also aiding your branding and enhancing your companies corporate image. Logo / promotional entrance floor mats are becoming increasingly popular, given that they’re such an affordable way of helping to enhance your image and brand, while improving the first impressions & giving an increased perception of professionalism to visitors, customers & potential employees. floor mats category of our website, or make an enquiry via the online contact form: or by telephone on 0800 234 6686. Holcombe Textiles has now introduced a very useful addition to its towels range. We are now stocking excellent quality Microfibre Black Hand Towel that is resistant to Salon Bleaches and Tinting Chemicals. Its the black towel that stays black! Holcombe Textile Services has introduced a clever new concept to help nursing and care staff when dispensing medicines and drugs in care homes, hospitals and hospices. When dispensing, it is critical that the member of staff is allowed to concentrate fully on the task in hand and is not disturbed or interrupted by anyone at this critical time. Holcombe Textiles now offers a tabard vividly printed with the message “Do Not Disturb – Medication Administration in progress” giving everyone around a clear message not to interrupt.